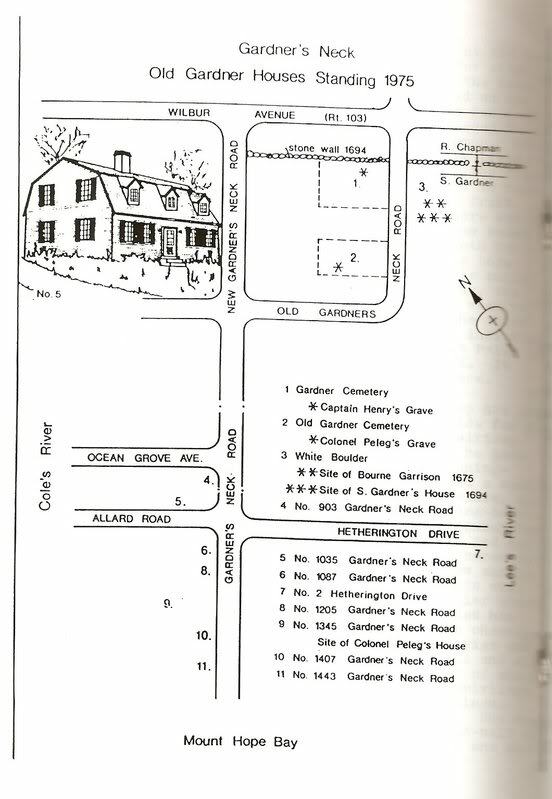 Andrew Borden’s smaller “farm” in Swansea located at 1205 Gardner’s Neck Road, was built in 1790’s by Peleg Gardner. Old Peleg (and he is quite a story himself) is buried in the very, very, old cemetery at the north end of the road. Borden case enthusiasts have driven by and gawked at this structure for over a hundred years. Few have been invited inside. 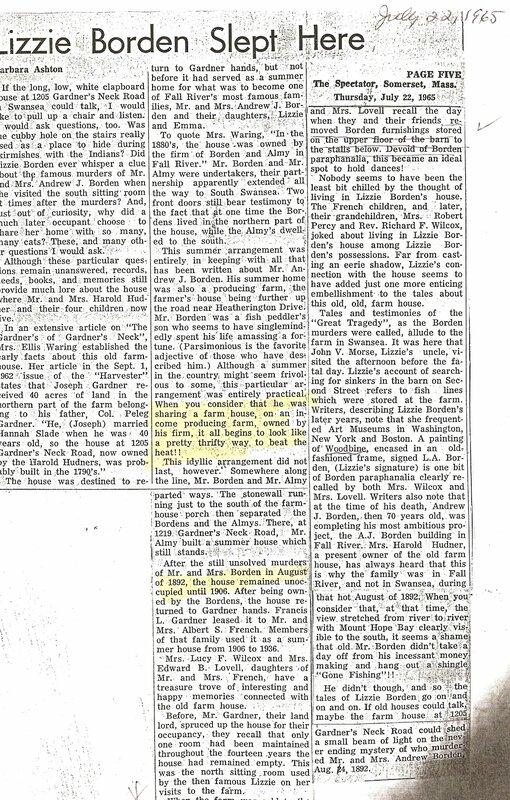 But here’s a little peek from this news article (1947?) 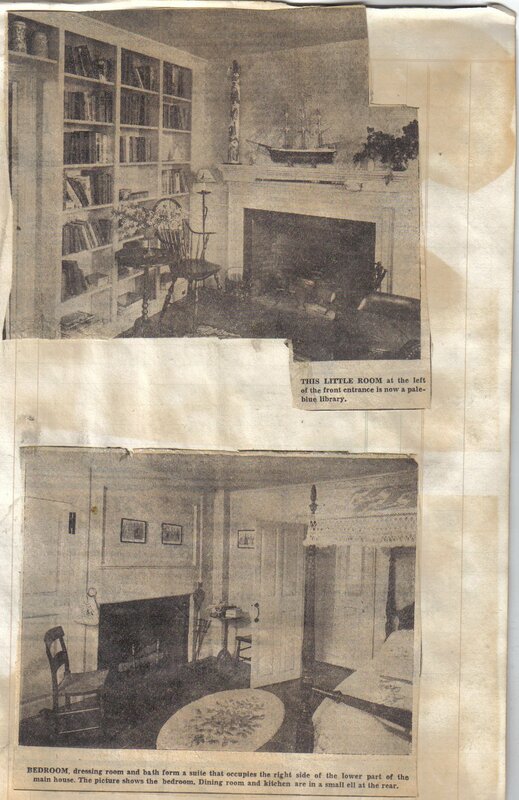 of what the interior was like when Joseph French owned it. 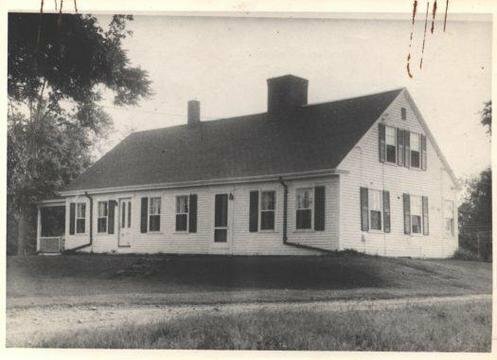 The basic interior structure would have been the same as when Lizzie Borden’s father held title and the family used it as a “summer retreat”. 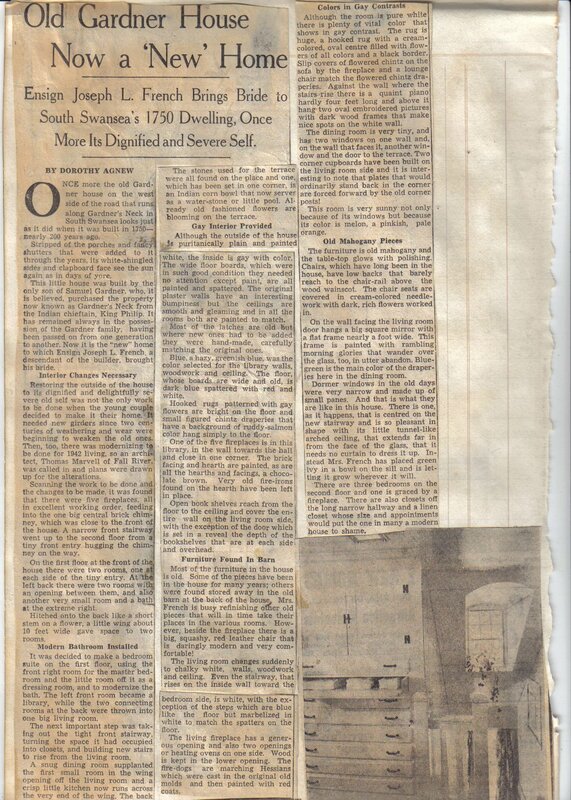 This article has it being built in 1750 but I have more confidence in Mrs. Ellis Waring’s research and her findings as indicated in the second article shown below written in 1965. 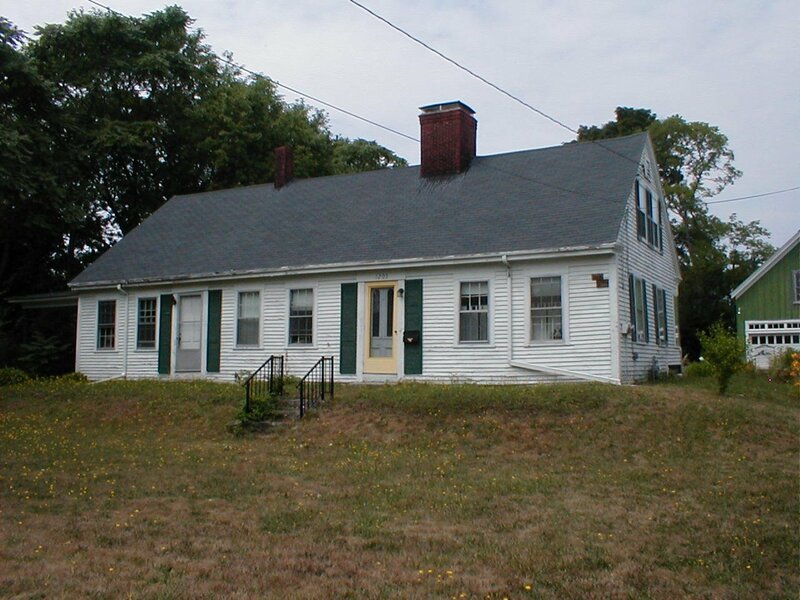 (Note: This is NOT the farmhouse that Uncle Morse went to for the eggs from Mr. Eddy. You know the eggs. The ones they didn’t eat on that infamous Thursday morning because there was still some leftover mutton not to go to waste). The house is actually “historic” and would be #8 when the diagram below was made. Swansea looms large in the Borden case. Photo taken August 2005 – the house has since been painted blue.